Acer pseudoplatanus is a very suitable plant for outdoor bonsai. 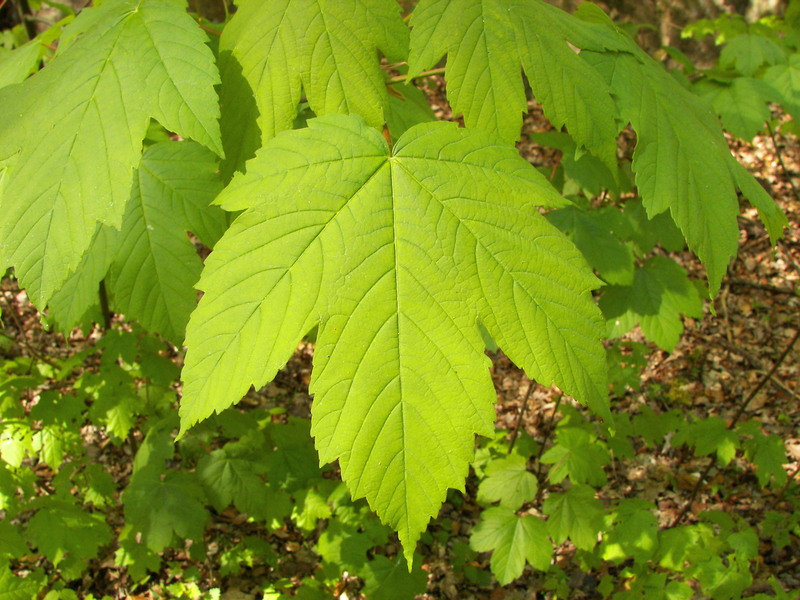 The sycamore maple is a large deciduous tree that reaches 20–35 m (66–115 ft) tall at maturity, with a broad, domed crown. On young trees, the bark is smooth and grey but becomes rougher with age and breaks up in scales, exposing the pale-brown-to-pinkish inner bark. The leaves are opposite, palmately 5-lobed large, 10–25 cm long and broad with a 5–15 cm petiole, with leathery texture and thick veins protruding on the underside surface with toothed edges, and dark green in colour with whitish underside; some cultivars have purple-tinged or yellowish leaves. The leaf-stalk is frequently tinged red. The leaves are often marked with black spots or patches which are caused by the fungus Rhytisma acerinum. The monoecious yellow-green flowers are produced in spring on 10–20 cm pendulous racemes, with 20–50 flowers on each stalk. The 5–10 mm diameter seeds are paired in samaras, each seed with a 20–40 mm long wing which catches the wind and rotates when they fall; this helps them to spread further from the parent tree. The seeds are mature in autumn about 6 months after pollination. 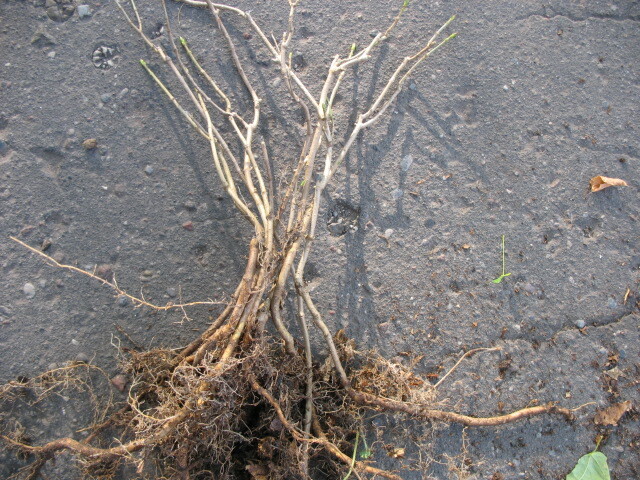 The sycamore is able to produce suckers from roots when they are exposed to sunlight after the mature tree has fallen. 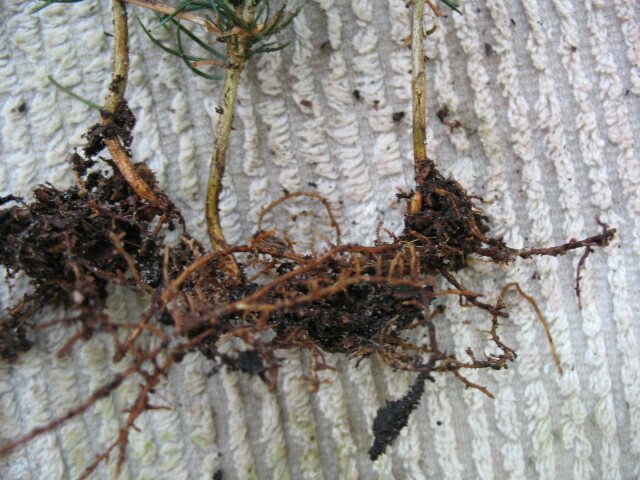 You get 5 pre bonsai trees with bare roots hight 10-25 cm. You get instructions to help you start. You will get 5 trees similar to ones on the above picture. Since May to the end of September we send plants with foliage but before shipment we trim leaves. It is necessary to trim the leaves to reach mighty seedlings which quickly adopt and soon healthy green foliage will be appeared.